How do you demonstrate competence? The process industry uses BS EN 61511 as the benchmark standard for the management of Safety Instrumented Systems and all things which influence them. This standard reflects the requirements of the HSE guidelines which state that competency is built on relevant training, knowledge, skills and experience appropriate to the technology being used. In addition, the HSE provides guidelines for employers on the use of a Competency Management Scheme to ensure competency levels are maintained throughout an individuals career by following a process of Continuing Professional Development. 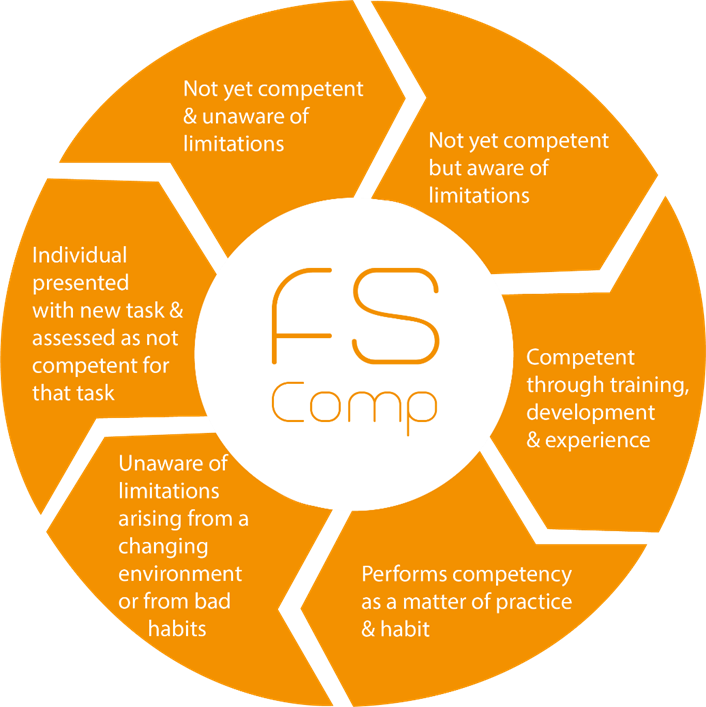 Competency is more than a one-off qualification. The first qualification is just the beginning. Figure 1. the Competence Cycle (credit HSE Managing Competence for safety related systems) shows how training is an ongoing process that requires regularly updating. Many Engineers rely on =Method as their advisor, trainer and consultant throughout their career. Our FSComp and TUV certified training provides a family of courses and workshops to support your development. Functional Safety and SIL for Operators (IEC 61511) 1-day classroom learning 8 Provides a basic knowledge in functional safety and an appreciation of its relevance in the workplace. Functional Safety & SIL for Instrument Technicians (IEC 61511) 2-day classroom learning including a 1.5-hour exam 16 Provides Technicians with a practical knowledge of Functional Safety and an appreciation of its relevance in the workplace. SIL Verification & Calculation Workshop 2-day workshop followed by case studies 16 A practical Workshop designed to help you streamline your SIL verification process. Teaching you how to demonstrate that SIFs are SIL compliant through practical classroom exercises. Completion of 2 tutored case studies following the course leads to FSComp Certification. Layer of Protection Analysis (LOPA) Workshop 3-day workshop followed by case studies 24 A practical Workshop designed to help you understand and implement Layer Of Protection Analysis. Completion of 2 tutored case studies following the course leads to FSComp Certification. Cyber Security Risk Management 3-day classroom learning 24 For those responsible for the security of industrial automation, control and safety. The course recognises that the optimum approach to security in OT may be different to what would be considered good practice in an IT environment. Our MD Dil Wetherill is chairman of the 61508 Association and represents BSI on the IEC forum which, amongst other tasks, discusses future versions of IEC 61511. We have a clear understanding of the latest regulations and their impact on our industry and are always keen to pass that learning on to our clients. Our growing family of UK based consultants and engineers can provide training and advice across the whole Functional Safety Lifecycle. If Functional Safety is an area of competence you are interested in please call us on 01462 713313 or email support@methodfs.com.